The Bahrain Red Crescent Society (PRCS) announced on Thursday (August 9th) the launch of an ambulance dedicated to serving the pilgrims from the Kingdom of Bahrain. 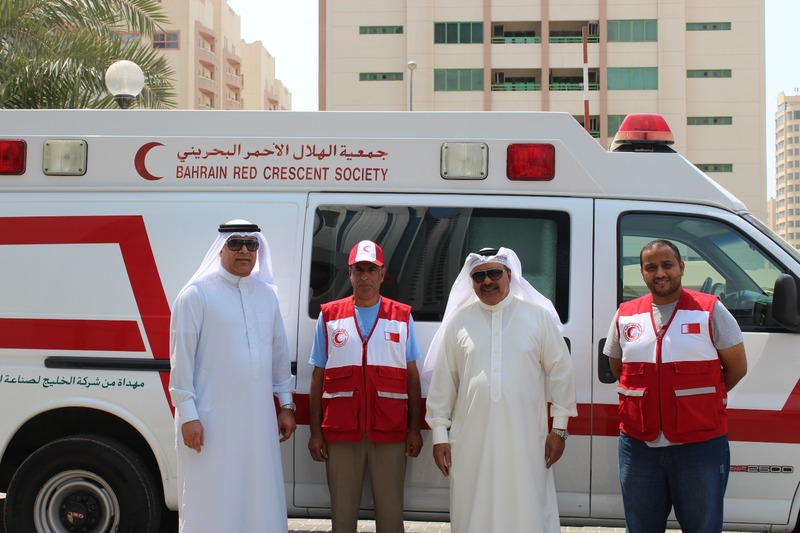 Mr. Mubarak Al-Ahli, Director General of the Bahrain Red Crescent Society, explained that the ambulance provided by the association to accompany the Hajj mission is fully equipped according to the specifications of the Ministry of Health in Bahrain with a driver, Mr. Aqeel Sabet and the medic Mohammed Al-Sharaqi. For Hajj rituals in the Holy Land. He pointed out that this ambulance comes as a contribution from the association in cooperation with Hajj mission in order to provide the best medical care to the pilgrims of citizens and residents, and the development of services provided to them in general and medical in particular. The Director General of the Bahrain Red Crescent Society praised the efforts made by the Bahrain Hajj Mission and reiterated the organization’s continued readiness to cooperate with the Bahrain Medical Mission, including medical and ambulance staff, and take all medical preparations for pilgrimage this year. From all medical and administrative aspects. He concluded his statement by stressing the Association’s keenness to coordinate every year with the Bahrain Hajj Mission for the service and care of the pilgrims, asking the Almighty to grant all pilgrims safety and easy to perform Hajj this year and every year. Next articleThe Indian Community Relief Fund (“ICRF”) organises its 4th YOGA camp.